Have a fun photo taken with your family or wild bunch. 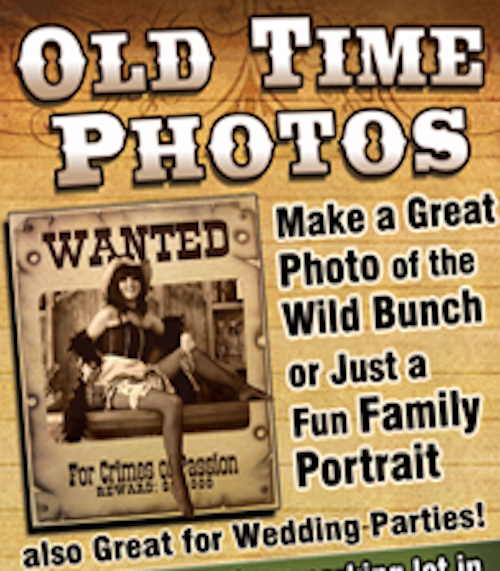 Old Time Photos offers dozens of western props and costumes that fit over your own clothes. Dress the part as a gunfighter, deputy, saloon girl, or even a hillbilly! The old time photo saloon is located inside Coffee on the Rocks. Coffee on the Rocks offers a variety of coffee and smoothies.